Many studies have been performed on the separate impact of either physical characteristics or social characteristics of the parks on promoting physical activities; however, few of the previous works have researched the impact of both factors simultaneously. This qualitative study aimed to determine which physical, social, and interpersonal factors have an influence on the park-based physical activity among adults in residential neighbourhoods. Additionally, this study investigated conditions under which residents choose a specific park for their physical activity. In 2017, 22 females and 18 males with an age range of 20 to 62, in 15 residential neighbourhoods of Bandar Abbas city in Iran, were purposively recruited to participate in one-on-one semi-structured interviews. The interviews determined the reason for choosing a specific park for physical activity, and explored the factors encouraging or preventing residents from park-based physical activity. Using Nvivo software, the transcribed interviews’ data were analysed via thematic analysis. 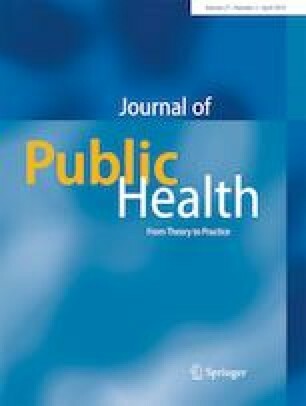 The findings revealed that the physical characteristics of parks (e.g., size, facilities, accessibility, natural landscape, and safety), and social factors (e.g., bad behaviour and social support), as well as individual factors (e.g., time, weather, negative attitudes, and health condition) affect the choice of a specific park or park-based physical activity. Also, such a combination of multiple factors affects the choice of a park for physical activity among all age groups. The findings emphasized that high standards in terms of both park characteristics and social factors can motivate all age-groups of adults to be attracted to parks and visit parks more frequently. This study was undertaken as part of the research project, supported by the Deputy Research Directorate of Islamic Azad University, Bandar Abbas Branch, Iran. The author wishes to acknowledge all the residents of the neighborhoods who participated in the study, and also thanks his students for their excellent research assistance.